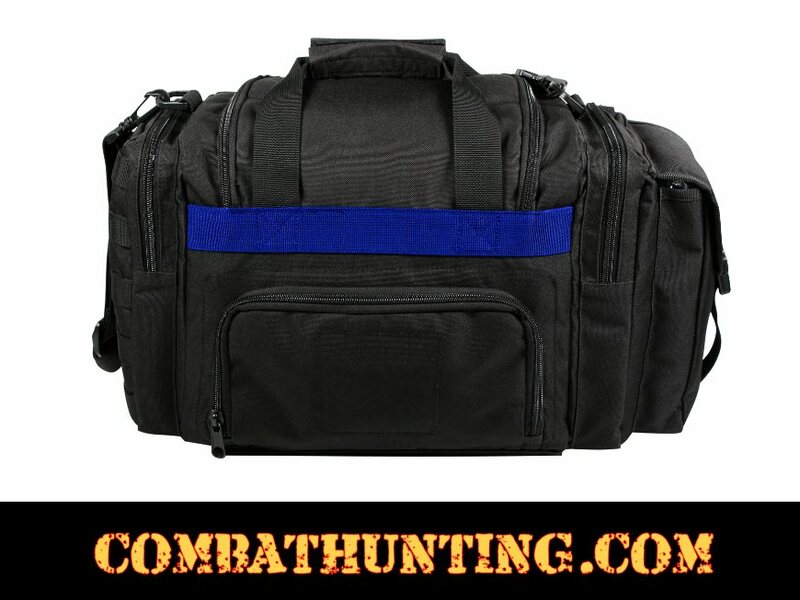 The Thin Blue Line Concealed Carry Bag/Range Bag for pistols is a symbol of respect and support for Police and Law Enforcement Officials. Show your support with thin blue line merchandise. 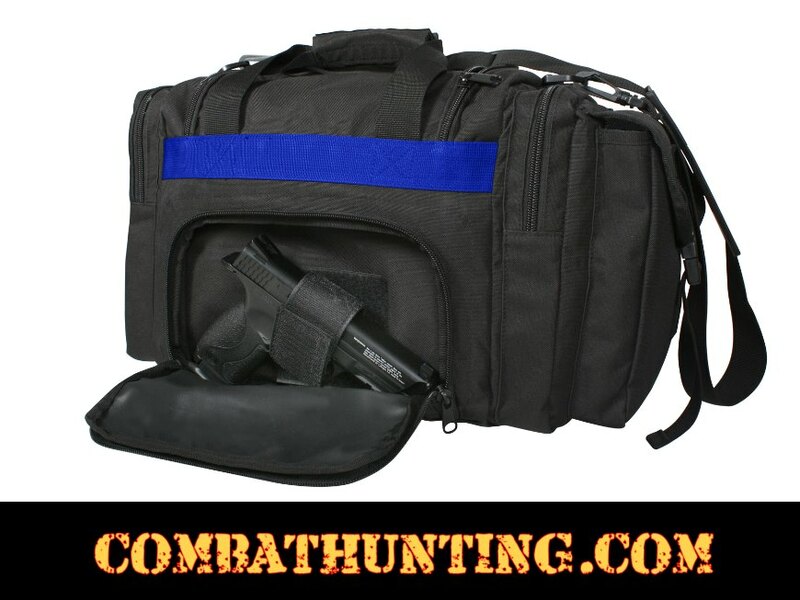 This concealed carry bag is made from durable 600D polyester with PVC coating and polypropylene webbing. The tactical bag features carry handles as well as an adjustable and removable shoulder strap and 2 front D-rings. 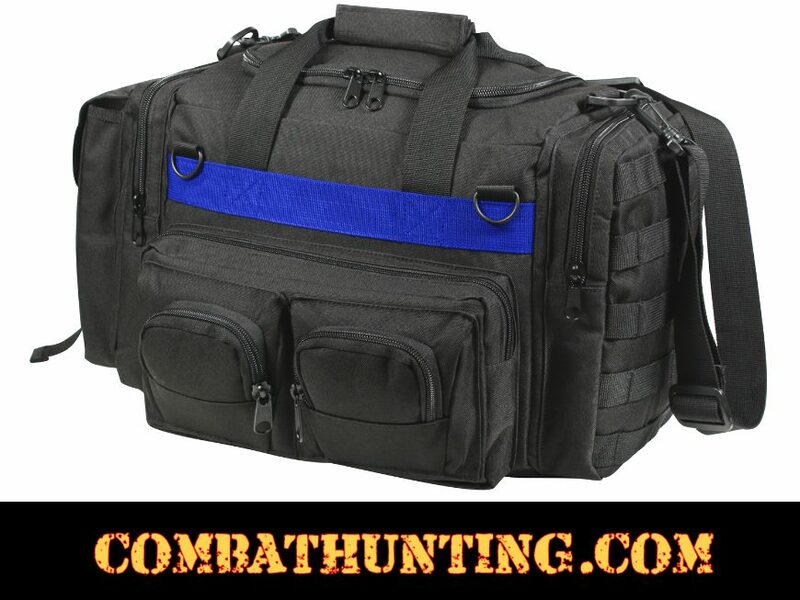 The bag has optimal storage options, with a large main compartment, a large side pouch with flap and quick release buckle closure, a large side zippered pouch with exterior MOLLE attachments, 3 zippered pouches in front, and a rear zippered pouch with the loop side of a hook and loop for concealed carry attachment. Dimensions: 15" x 10" x 12" inches.